Awin Barratt Siegel Wine Agencies (ABS), six-time winner of the coveted IWSC Wine Importer of the Year trophy, has been importing and sourcing distinct regional wines exclusively from key wine producing areas across the globe for more than 30 years. ABS works with family-run wineries, establishing long-term partnerships for distribution in the UK, with particular focus on the independent sector. For further details please contact Lesley Gray, lg@abswineagencies.co.uk or visit our website. William Grant & Sons UK is a leader in the UK spirits industry with a portfolio of premium and iconic brands. Founded in 1887, we are a fifth generation family-owned company with a passion and commitment to creating and building acclaimed brands of unrivalled quality for the long term. Within our portfolio we’re proud to count our own William Grant & Sons spirits, including Glenfiddich, the world’s most awarded single malt Scotch whisky, The Balvenie, Grant’s, Hendrick’s Gin,Sailor Jerry Spiced Rum, Tullamore Dew Irish Whiskey and Three Barrels brandy. 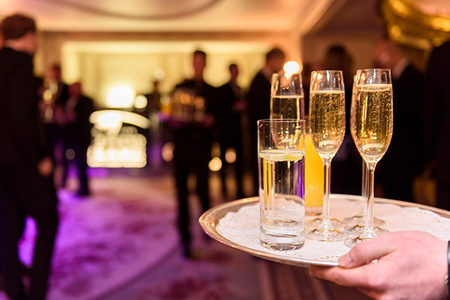 We also successfully represent brands owned by other premium drinks businesses including Roust’s Russian Standard Vodka and Zubrowka, Illva Saronno’s Disaronno and Tia Maria, EPI's Piper-Heidsieck, and De Kuyper Cocktail Liqueurs. Motivated by a passion for nature and a love of the land and all it gives us, husband and wife team Tom & Tina Warner had one ambition; to save the world from mediocre gin by creating an epic product that was farm-made and steeped in authenticity. All of our gins are hand-crafted on Falls Farm in Northamptonshire using our pure natural spring water and using hedgerow botanicals and herbs from our garden wherever possible. We take inspiration from the landscape on the farm to create our award winning gins Harrington Dry, Victoria’s Rhubarb, Elderflower, Sloe, Melissa Lemon Balm and our latest edition Honeybee. At Warner Edwards, we are not focused on being the biggest, it’s about being the world’s best while nurturing the nature around us and giving back to the environment which gives us so much. Our bottles are not only filled with gin, they are filled with our passion, heart and soul. Crafted with Nature on Falls Farm. Independent Drinks Retailer of the Year – Sponsored by The London Essence Co.
At The London Essence Company we have drawn from our history as purveyors of fine essences, to create a range of elegant and light mixers. We distil essences from the finest ingredients to create beautifully calibrated mixers that accentuate the true character of premium spirits, for an exquisite drinks experience. We are a family run cidermaker with our home in Sandford, Somerset. Our ciders, all full of natural apple character, are crafted here at Myrtle Farm. Pride in our heritage– we’ve been making cider for four generations - is at the heart of everything we do. Our knowledge and passion for apples is reflected in our ciders: authentic, full of flavour and with a distinct character that reflects Somerset cidermaking at its best. We craft a range of ciders – including Thatchers Gold, Thatchers Haze, Thatchers Vintage and Thatchers Katy, but whichever you choose, you can be sure they have all been made with the same care, attention and hands-on experience. As the official wine partner of the Clipper Round the World Yacht race, Stormhoek Wines has made a name for itself as the sponsor of the Stormhoek Social Spirit award – an award that recognises team spirit and awareness of the environment rather than the team’s ability to race as fast as possible. We dream big, we are spontaneous, we celebrate life and if we cannot change the world, we’ll go home..! We are a big player in the wine industry’s efforts to eliminate the use of non-recyclable black plastic, and the first supplier from South Africa to use no black plastic in our production. Britain’s oldest brewer, the independent family business is based in Faversham, Kent. The company brews the best-selling traditional Kentish ales Spitfire and Bishops Finger, plus modern beers such as the Whitstable Bay Collection. In 2017 Shepherd Neame restored its Victorian brewhouse, which included the installation of new mash tuns. It also launched Cinque Premium Lager, a five grain brew, plus its first cider, Orchard View. Current chief executive, Jonathan Neame is the fifth generation of his family to lead the business and the company operates 335 pubs and hotels across the south east. Launched in 2015 by Cheltenham based company Off-Piste Wines, Most Wanted Wines has just one simple vision: to get everyone enjoying the world’s most wanted wines. Sourced and blended by Master of Wine Clem Yates from wineries across the globe, the range takes in some of the most wanted grapes and regions and makes them accessible to everyone. Some of these will be familiar to the wine drinker, others might be an introduction to something a little different. But they’ve all got one thing in common – they’re easy to get and easy to love. There are no eye-watering prices here – just delicious wines that will appeal to all wine drinkers. In 2017, Most Wanted took accessibility to another level with the introduction of single serve wine pouches and cans, offering consumers greater choice and the opportunity to purchase single serve wines in an easy, sustainable format. Brewers of the legendary Hobgoblin, Pedigree, Wainwright, McEwans and Bombardier, Marston’s are the UK’s leading brewer of bottled ales, operating six breweries, producing over 70 of the country's best loved ales at our sites in: Burton on Trent (Marston’s), Oxfordshire (Wychwood & Brakspear), Cumbria (Jennings), Hampshire (Ringwood), Bedford (Eagle) and the West Midlands (Banks’s). We also manage Estrella Damm, Erdinger, Shipyard, Warsteiner, Kirin and Founders in the UK, giving us an unrivalled portfolio of ales and premium world beers. As sponsors of the Drinks Wholesaler of the Year category, Marston’s are proud to be supporting these awards and share in our passion for growing our customers business. To reach perfect balance, one must combine relationships, know-how, and a taste for fine craftsmanship. As our Chief Winemaker, Cédric Jenin is a master of this art. He is the conductor who blends all these melodies into our wines' harmonious personality. MAISON CASTEL's ambition is to share the world of French wine in all simplicity, together with a certain art of living, and the appreciation for fine craftsmanship. We aim to do this with products that are representative of France's rich savours and diversity. i heart Wines started life as a doodle on a pad in 2010. Since then it has fast become a must-have brand in the UK, and around the world. i heart Wines is exciting and full of energy taking a fresh approach to wine, keeping things simple and focussing on what’s important- great tasting wine, at a reasonable price, with an eye-catching design. Part of the recently merged Freixenet Copestick portfolio, i heart Wines’ growth has been very impressive and is now a top 15 UK wine brand. Freixenet Copestick also manages global brands Freixenet and Mionetto as well as a wider portfolio of branded wines, spirits, and mixers, and managing large private label supply agreements. As an independent business Hatch Mansfield is an advocate of the independently minded. Established in 1994 we are UK specialists in premium wine made by independent, family- owned wine companies. With charismatic personalities heading up all of our 15 award winning wine producers, each owns a significant vineyard base, first-class winemaking facilities and cellars giving them quality control from grape to bottle. They all have a rich story to tell about heritage, provenance and authenticity and their impressive international distribution gives them enviable consumer recognition. With our 'can do approach' in the UK together we strive to provide a unique combination for our customers. Glengoyne is renowned as Scotland’s most beautiful Distillery, situated close to Loch Lomond, nestled into Dumgoyne Hill. Taking its name from ‘Glen Guin’ or ‘Glen of the Wild Geese’, Glengoyne has been producing exceptional single malt for nearly 200 years. Uncompromising in its pursuit of excellence, Glengoyne runs its stills slower than any other distillery in order to create the fruity, unpeated spirit for which its whisky is known. Glengoyne’s spirit is then matured in the finest oak casks within its traditional dunnage warehouses. To change one element of the Glengoyne Way, would be to alter the unique character of Glengoyne. Emporia Brands is a spirits importer which seeks out, around the world, distillers who respect artisan traditions in quality, in both the ingredients and process, and shun industrial short-cuts in the pursuit of truly great drinks. We have made many friends among these producers, in some cases now over three generations, and these brands all have great reputations for their craft methods of production. Emporia is also a creator of our own brands including Mayfield Sussex Hop Gin and other gin brand investments, Hoxton Gin and Jindea Single Estate Tea Gin, which we market in the UK and internationally. Distell, a global business with roots in South Africa, produces and markets a diverse portfolio of award-winning alcoholic brands that have been crafted by extraordinary people across the world. Some of these brands include Amarula, Savanna, Pongracz, Durbanville Hills and Nederburg. 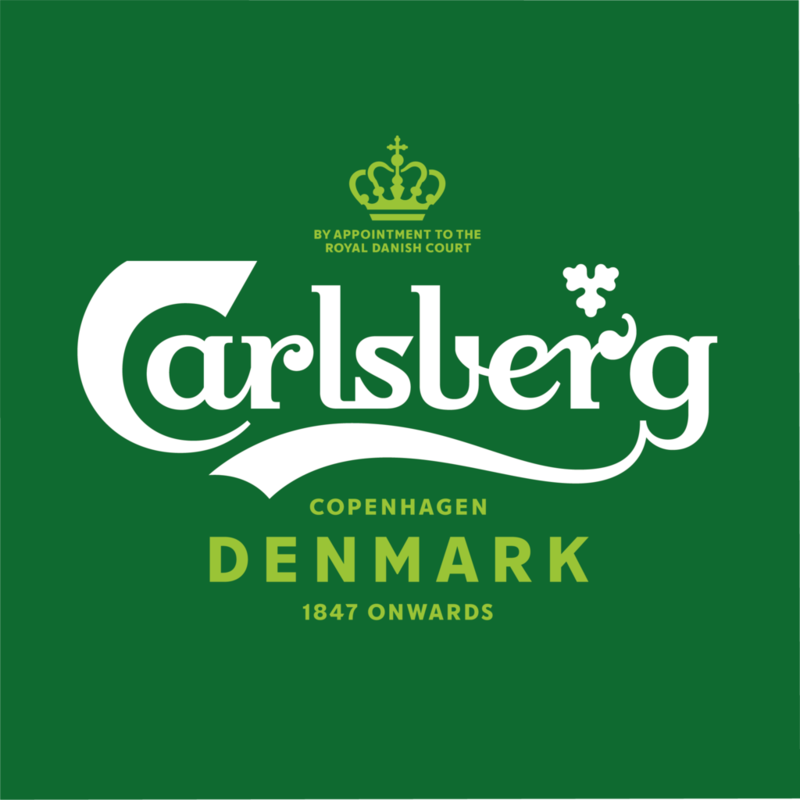 Carlsberg UK is one of the countrys largest beer and beverage companies and our vision is to be the best in the UK by delighting our customers through great service and great brands. We continually strive to put our customers and consumers at the heart of everything we do. We produce and sell some of the UK’s best known and most loved brands including Carlsberg, Carlsberg Export, Tetleys, San Miguel, Mahou and Brooklyn. 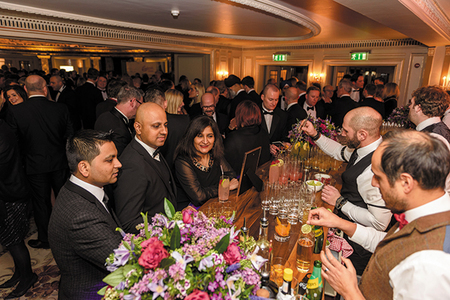 We are proud to support the Drinks Retailing Awards and work with customers to grow their business. Founded in 1895 in České Budějovice (or Budweis, to use the German name) in the southern Czech Republic, Budweiser Budvar brewery is known as one of the pre-eminent centres of lager brewing in the world with beer writer Adrian Tierney Jones describing a visit to its cellars as “the closest thing to a religious experience”. Celebrated as one of Europe’s last true lagers, Budvar continue to use some of the most premium ingredients to achieve the perfectly balanced taste of Budvar Original including whole cone Saaz hops, carefully chosen Moravian Malts and natural soft water combined with a maturation time nearly 7 times longer than most brewers. As a fiercely independent brewery, Budweiser Budvar are proud to sponsor “Independent Drinks Retailer of the Year” and to continue to support the Drinks Retailing Awards. Brockmans is an independent English gin company set up by the founding partners, Neil Everitt and Bob Fowkes together with 2 other friends. With over 60 years combined experience in the drinks industry and a wealth of knowledge in gin distillation, they set out to write a new chapter in this famous English spirit's history. In their words, “The aim was to create a gin so smooth and sensual, you would want to drink it neat over ice. Broadland Wineries is an award-winning producer of wine brands from around the world. Waipapa Bay (New Zealand), Minivino (an innovative range of single serve options) and Three Mills (British Wine) are all top brands distributed through the multiple off trade. More recently the company has launched Proudly Vegan, the first 100% vegan wine on the market right down to the ink and glue on the label and the 24 bottle Christmas Advent Calendar, which sold out in 2017 and 2018. Aston Manor Cider is the UK’s largest independent cidermaker. Dedicated exclusively to producing cider, Aston Manor has a broad portfolio covering every occasion and every consumer. Spanning the breadth of the cider category, the products range from mainstream ciders like Kingstone Press, Crumpton Oaks and Frosty Jack’s to award-winning, premium ciders, Knights and Friels First Press Vintage. Aston Manor also produces an extensive range of retailer exclusive and own-label cider brands for many of the UK’s leading retailers. The cider maker regularly wins awards for product quality, support for customers and business performance. It won six medals at the International Cider Challenge 2016 including gold for its craft cider, Friels First Press Vintage. Asahi UK Ltd is the UK subsidiary of Asahi Europe Ltd formed in October 2016. Its iconic brands include Peroni Nastro Azzurro, Asahi Super Dry, Pilsner Urquell, St Stefanus and Kozel, among others. Together, the portfolio puts Asahi UK Ltd in the enviable position of being the number one super-premium beer business in the UK. Through its distribution discipline, supplemented by engaging and innovative marketing activities Asahi UK is widely recognised as the thought leader in driving premiumisation throughout the industry. Sponsoring an award category at the Drinks Retailing Awards gives huge prominence to your brand in front of an audience of your industry peers. 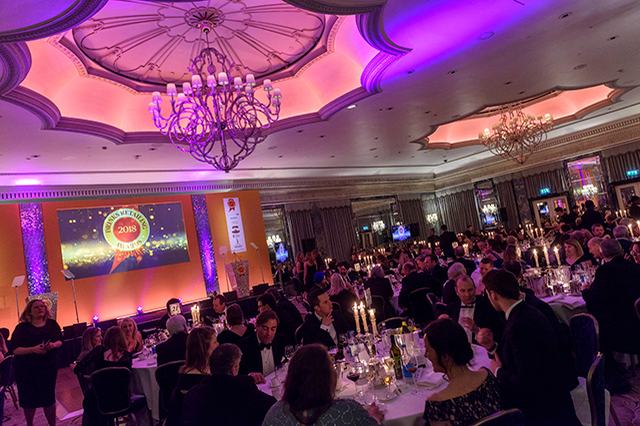 The awards have categories covering all aspects of drinks retailing and the DRA's are undeniably the most respected competition in the UK for all the supermarkets, wine merchants, independent specialists, off-licence-led convenience stores and wholesalers who enter. In sponsoring an award category you will be synonymous with and have exclusivity to a specific retail channel. 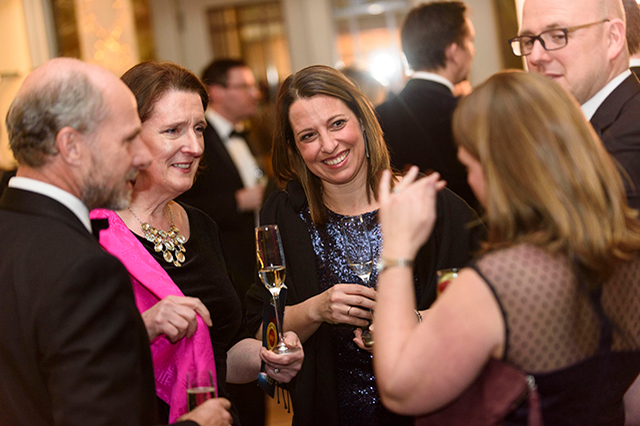 The Drinks Retailing Awards offer major benefits - connect with a target sector in the market, heighten brand and company profile and building relationships with the key buyers in the drinks industry. The awards are purely retail led, and the buyers are the stars of the event with the awards recognising their excellence in drinks retailing.